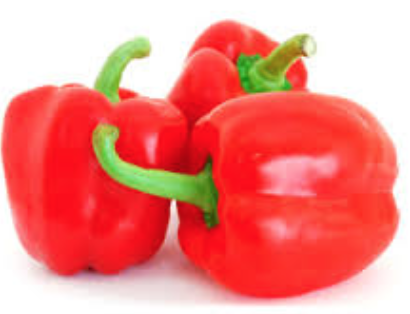 Cut the capsicum in half and remove the seeds. Set aside . Cook the turkey breasts in boiling water and let cool off before you chop them finely. Set aside. Dice the onion very fine and add to the finely chopped turkey. At this time, also add the mashed garlic. Mix the olive oil with the cabbage, tomato and parsley. Mix the two bowls together and fill the peppers with the mixture!